In 1973 He established a diversified Industrial AKC Group of Companies with over 6,000 Germans working in the Group, and with a turnover of over US $ 1.6 Billion. Dr. Chauhan attained the status of the Most Successful Non-Resident Indian in Continental Europe. In 1986, Dr. Chauhan established Non-Profit and Philanthropic“ Ritnand Balved Education Foundation”, to provide world-class education through Amity Universities & Institutions worldwide. Today, he has an integrated network of five universities, more than 150 institutions, 17 schools and pre-schools and 10 international campuses across 8 nations, with over 1,00,000 students, pursuing 250 programmes. Amity has earned the reputation, as one of the best private Education Groups in India, and across the world. Because of innovative & creative approach, He has contributed to various research breakthroughs in the areas of biotechnology, nano-technology, microbial technology, environmental toxicology, virology & immunology and other cutting edge technologies. He is the first to start M. Tech in Nano-technology courses in the country. Through his initiative and inspiring leadership, more than 325 patents have been filed in the last few years, from Amity Universities Research Centres. He is also developing young entrepreneurs through his Centre for Industrialization of the Research Products”, The Incubation Centres, & Directorate of innovation and Technology Transfer. Several prestigious national and international honours have been bestowed upon Dr. Chauhan, including Businessman of the Year Award in 1992, Doctorate of Education by University of East London, UK, and by University Politehnica of Bucharest, Romania. 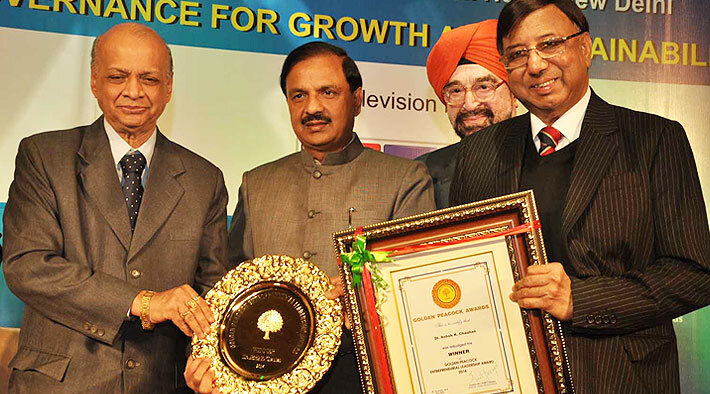 He was felicitated by the Bar Council of India, at its Golden Jubilee function in 2013. He is an “Institution Builder”, who nurtures talent with his unique character and vision.